CAFÉ (Connection-Association-Friendship-Exchange) is designed to facilitate people-to-people links between Australians and Indonesian Australia Awards Scholarship recipients. 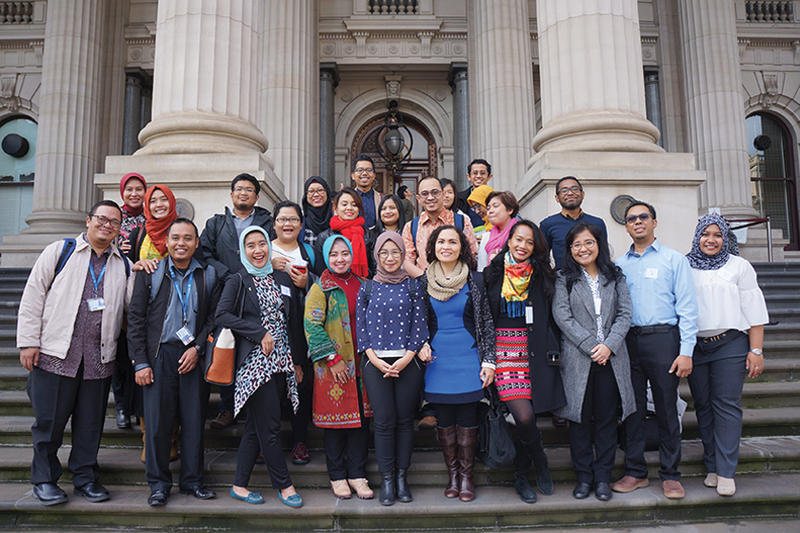 One Indonesian scholarship student, while on-award and studying in Australia, is matched with one Australian, working in an organisation from the same professional sector. It is suggested that participants engage in a range of activities for example, an initial coffee/chat, dinner once or twice (preferably in the Australian participant’s home, to give the Indonesian participant a glimpse into Australian culture), attendance at an Australian cultural or sporting event, and a visit to the Australian’s workplace. If participants enjoy each other’s company and have a lot to learn from each other, then a more structured/formal mentoring relationship might emerge, but there are no expectations in this regard. There are also no formal requirements for participation in CAFÉ other than an occasional phone chat with the CAFÉ Coordinator from the Australia Awards office and the completion of a simple evaluation form at the year. Australian CAFÉ participants to date have come from the Australian Taxation Office, Australian National Audit Office, Australian Public Service Commission, Australian Bureau of Statistics, Australian Treasury, the Department of Foreign Affairs and Trade, the state government departments, Non-Government Organisation and private sector. In 2017 participant’s organisations included the Australian Consortium for ‘In-Country’ Indonesian Studies (ACICIS), Australian Volunteers for International Development (AVID) and the Australia Indonesia Business Council (AIBC). Download a CAFE brochure here.